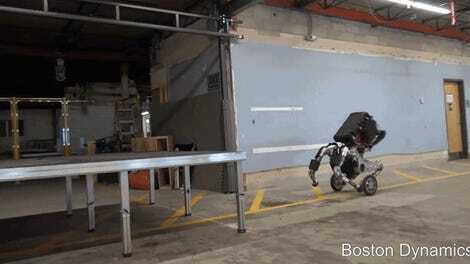 Do you remember the Boston Dynamics robots videos of just a few years ago? 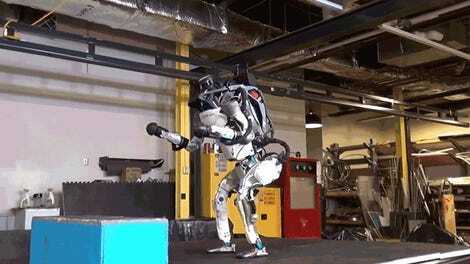 It was a big deal that robots like Atlas could walk on (gasp!) uneven ground. But Atlas keeps blowing through milestones left and right, like in this new video that shows Atlas effortlessly jumping over obstacles and hopping onto boxes like it’s a parkour legend. The robot uprising is on the horizon, folks. This is not a drill. It’s not an exaggeration to say that Atlas has gone from subhuman to superhuman in just a few short years. As recently as January of 2016, it was a big deal that robots like Atlas could walk untethered along hills. 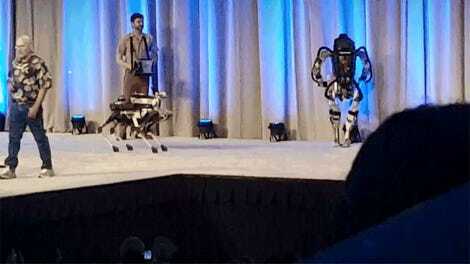 Now we’re seeing robots like Atlas doing backflips. I can’t even do a backflip! Back in 2015, Atlas still needed a tether to properly run through the woods. Yes, Atlas still makes mistakes now and again—like last year, when an Atlas robot fell off a stage. But that’s something that even humans do. When was the last time you bounded up an obstacle course like Atlas? 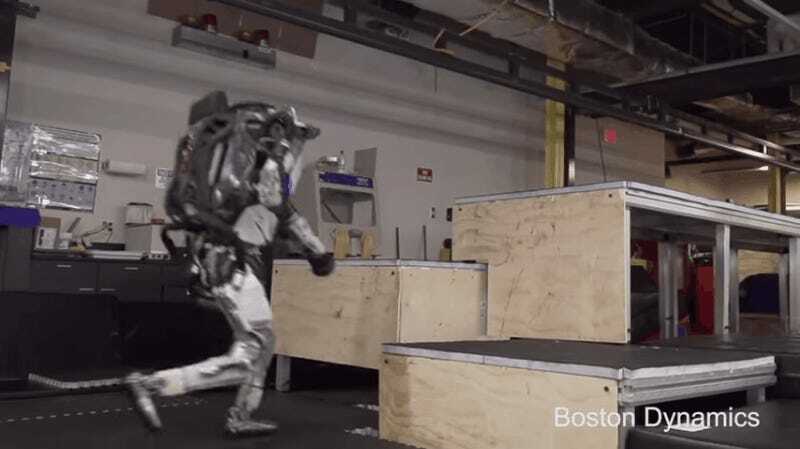 And all of this is to say nothing of other Boston Dynamics robots like the SpotMini, which is agile enough to do the dishes, the Handle, which jumps over huge platforms, and Spot, which can open doors and stay on its feet when it’s kicked around. When I went to the DARPA Robotics Challenge in the summer of 2015, one of the most difficult challenges for the teams was getting their robots to move autonomously across a rocky, uneven surface. But now, those same teams would probably just have their robots leap over the obstacles. I think we all know where this is heading. And it’s not pretty for humanity. Just get it over with, Atlas. Put us out of our misery.